A day to remember… ! 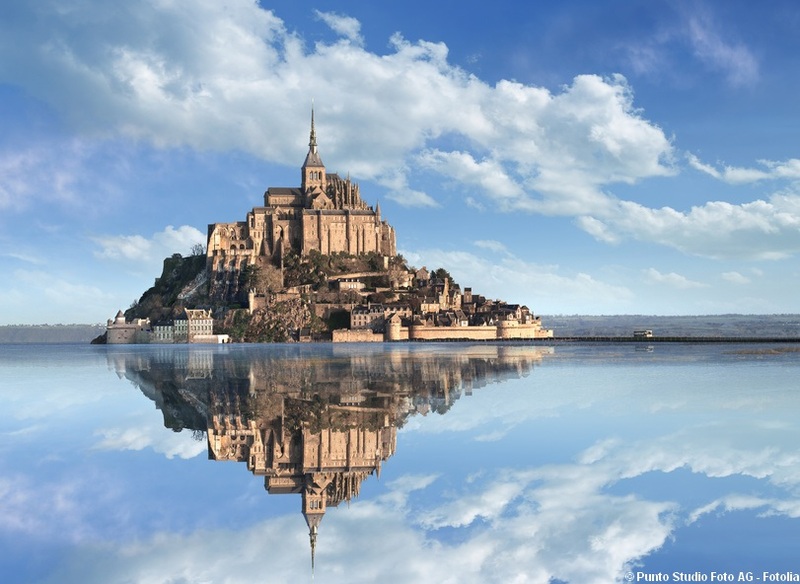 A granitic island in the middle of a huge bay under the influence of Europe biggest tides, where in 708 the Archangel St Michael (St Michel in French) ordered Aubert, the bishop of Avranches, the construction of a sanctuary. This is how Mont St Michel was born ! The first monastery was replaced by a Benedictine Abbey in the 10th C where the monks prayed and welcomed the pilgrims coming to adorn the archangel, in order to earn their right to go to heaven. The “builder-monks” never stopped adding constructions century after century until they were chased away by the French Revolution in 1791. The magnificent abbey then became a prison ! In 1864, it was added on the list of French Historic Monuments, and it was restored before being opened to visitors. All of them are surprised by how audacious the architecture of the Abbey is, like suspended between earth and heaven and how beautiful are the rooms of the “Wonder”, the Cloister, the Church. There is a breathtaking view from the top that is worth the number of steps you have to come up ! Your guide will let you understand the symbolism of the architecture in this “book of stone”, going through the different rooms, one more incredible that the other. You might meet one of the monks of the new community who settled here a few years ago, and hear their Gregorian Chants vibrating in the church at the time of the mass. Your guide will also take you through the narrow cobbled streets around the village, with granite or half-timbered houses. Wander along the top of the fortification wall, built during the Hundred Years War, when Mont St Michel became a medieval castle. Comfortable shoes recommended : a lot of walking, and many stairs !